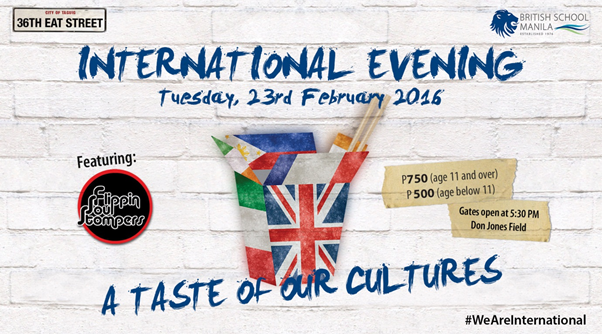 British School Manila (BSM) celebrates multiculturalism and raises funds for its charity initiatives on Tuesday, 23 February 2016. International Evening is an annual event that BSM hosts and features the cultural diversity of the community through food, music, travel and a host of other fun and entertaining activities. Dubbed as “A Taste of our Cultures”, this year’s theme showcases over 15 nationalities offering cuisines from around the world. Another well-known aspect of Filipino and British culture is food. Do join in and get a taste of the different traditions of cuisine and cooking. 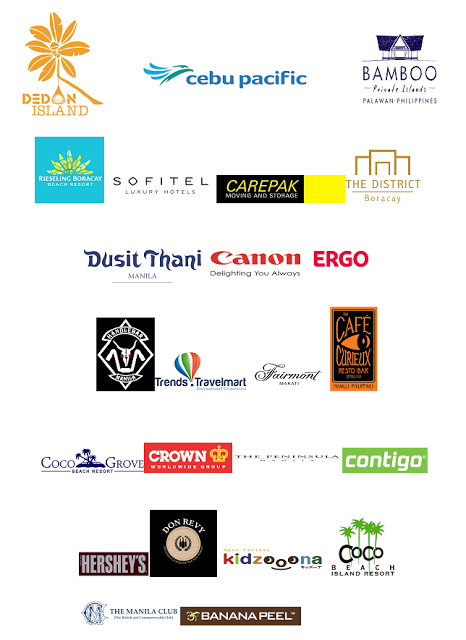 You can look forward to a host of international cuisines for recipe inspiration, new flavors and ingredients at A Taste of our Cultures and help fund charities. The International Evening last year was a massive success with over 1,500 attendees. This 2016 event is expected to be an even bigger celebration. All proceeds support the BSM Community Service Fund and BSM Service Learning Partner charities throughout the Philippines.